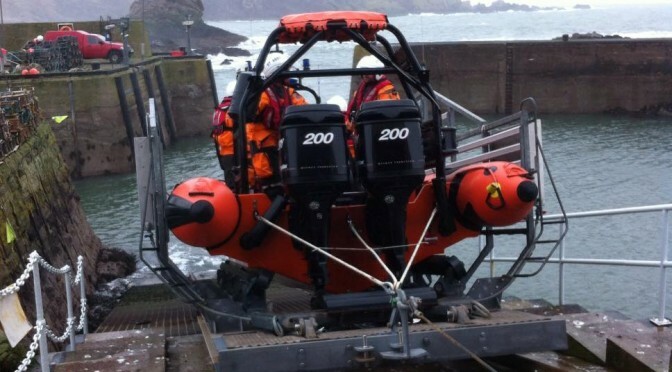 St Abbs Lifeboat saves lives. We were called out today to search for a missing diver. The Thomas Tunnock put to sea at approximately 11:50am and joined dive charter boats searching for the missing diver who had become separated from his buddy on the North West side of St Abbs Head. He was quickly located on a rocky foreshore just west of Petticowick. Two members of our crew swam in to ascertain his condition. He was exhausted and dehydrated but didn’t require medical attention. With a Coastguard shore team standing by if needed, the diver regained enough strength after a bottle of water and a rest for our two crewmen to help him walk along the shoreline to Petticowick. 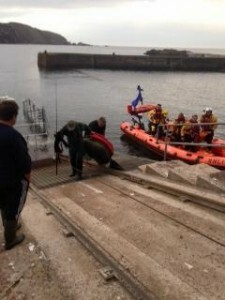 He was transferred to the Eyemouth Lifeboat who returned him to St Abbs Harbour. In the meantime, our remaining crew were busy dealing with a shore-based emergency after an elderly lady fell on the harbour and sustained a head injury. 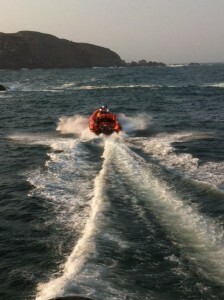 The Scottish Ambulance Service was called and she received further attention in the lifeboat station from their crew. She has been taken to hospital as a precaution but is expected to be fine. The St Abbs Lifeboat “Thomas Tunnock” was launched this morning (9 Feburary 2017) at 9:15am to go to the assistance of the Eyemouth based trawler “Our Catherine, BRD 77” which was already under tow by the Eyemouth RNLI All Weather Lifeboat. Derek Anderson’s video of Eyemouth Lifeboat, Our Catherine and the St Abbs Lifeboat “Thomas Tunnock” entering Eyemouth Harbour. 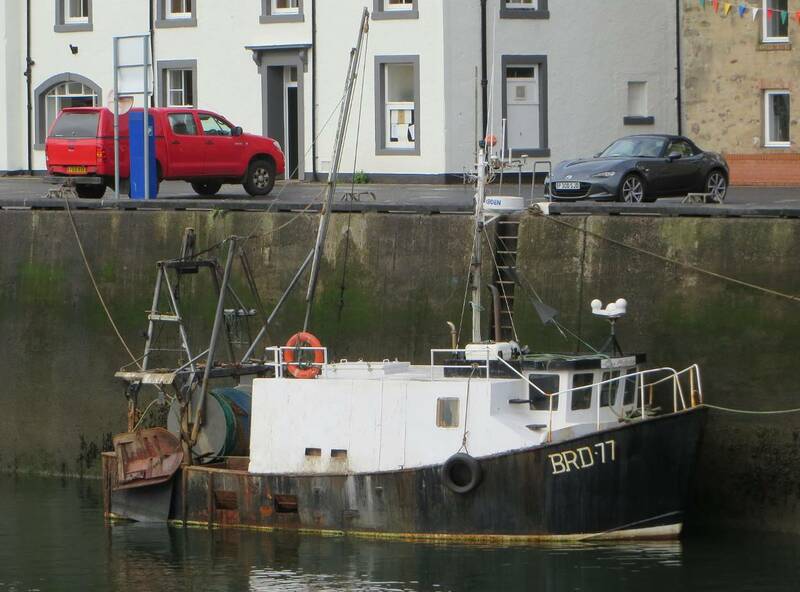 “Our Catherine” had lost drive to her propellor a mile to the south east of Eyemouth Harbour. St Abbs Lifeboat took position astern of the trawler to act as a brake, and all three boats safely entered Eyemouth Harbour. 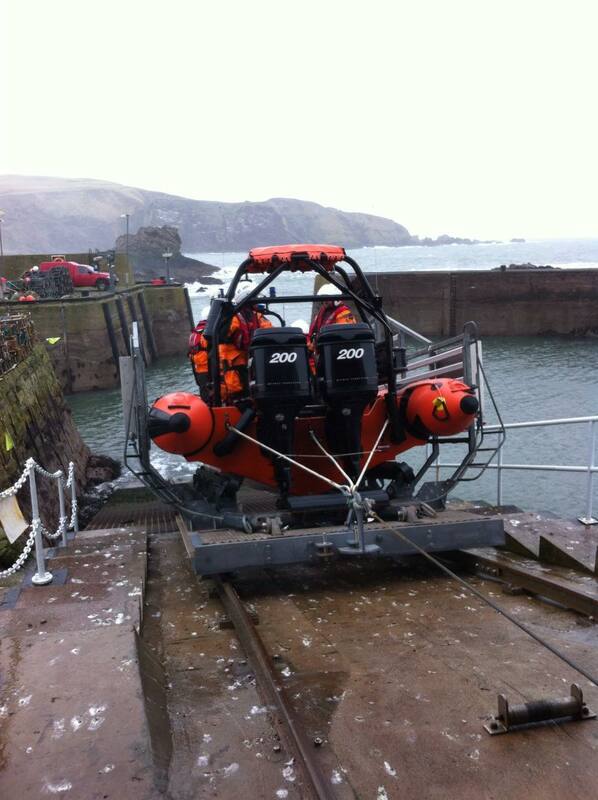 St Abbs Lifeboat then returned to the station, was refuelled and made ready for service. If you see an emergency at sea you should dial 999 and ask for the coastguard. 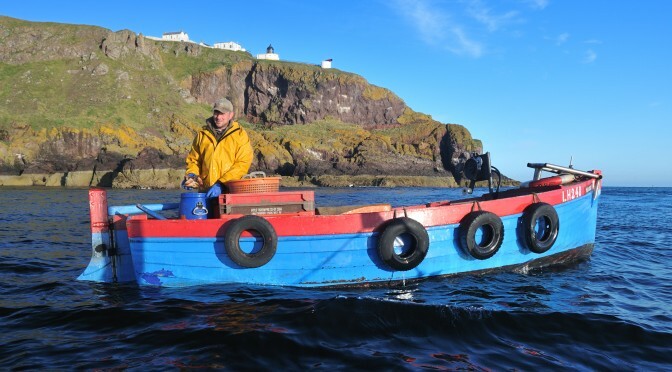 The St Abbs Lifeboat “Thomas Tunnock” was launched at approximately 1.30pm on the 6 Feburary 2017 to go to the assistance of the Eyemouth based trawler “Boy Andrew, LH316” which had fouled her propellor. After fouling her propellor the skipper of the Boy Andrew directly requested the assistance of St Abbs Lifeboat. While the St Abbs Lifeboat is not yet a declared facility, we are able to activiate the paging system locally to shout the crew out to a call. In deteriorating sea conditions and freshening winds the stricken trawler was taken under tow by fellow Eyemouth based trawler “Our Catherine, BRD 77” with the St Abbs Lifeboat acting as the brake vessel. 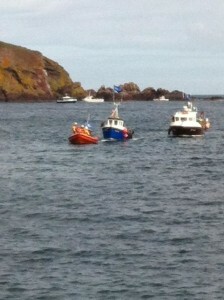 The small flotilla brought the stricken trawler and her crew safely back to her berth in Eyemouth harbour. 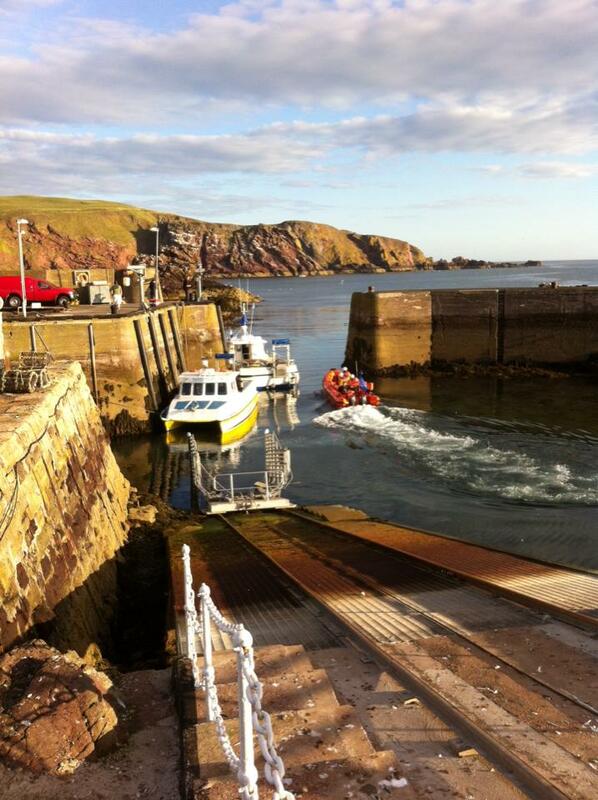 St Abbs Lifeboat is currently working with H.M. Coastguard to achieve “Declared Facility Status”. This means that we will become an officially recognised part of the UK’s maritime search and rescue emergency services. And we will be tasked by the Coastguard to respond to any call outs in our area. In this case the skipper of the trawler had contact details for a member of our team. However if you see an emergency at sea you should dial 999 and ask for the coastguard. Our fishermen are the backbone of the community. They wake early before the sun has risen and head down to the harbour to take to the sea single-handed in their wee boats. It’s hard work hauling hundreds of lobster pots a day, and it’s also dangerous. Working single-handed, among the rocks, you have to be careful for if something goes wrong assistance isn’t immediately at hand. That’s why our fishermen rely on our Lifeboat. And this morning when one of our fishermen’s small boats got its propeller caught in a rope, the St Abbs lifeboat was just minutes away. The boat had fouled its propellor near the rocks in Horsecastle Bay. 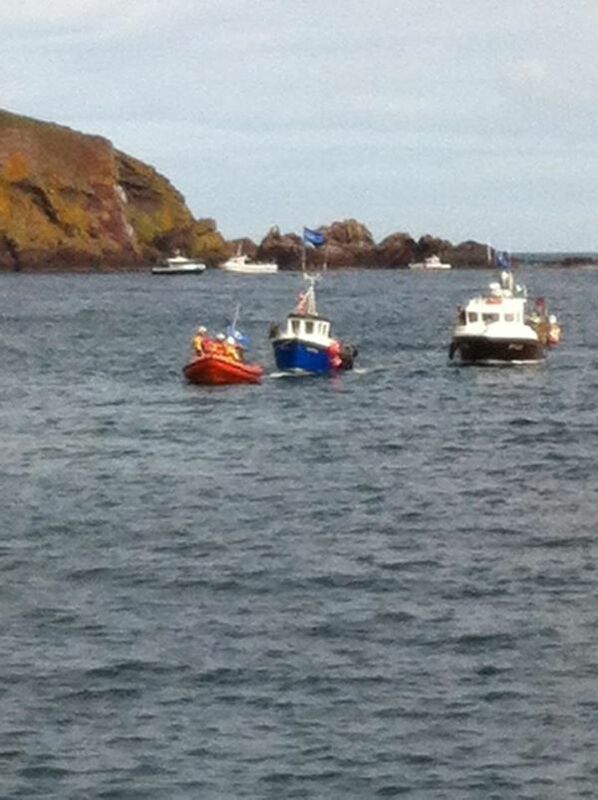 The alarm was raised and the St Abbs Lifeboat lauch at 7:30am this morning. And was alongside the fouled boat within a few minutes of lauching. After ascertaining the situation one of our crew members entered the water and cut the rope fouling the properllor away The lifeboat and fishing boat then returned safely to St Abbs harbour. 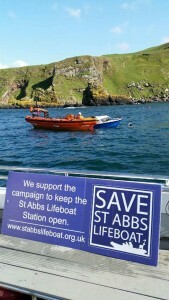 The RNLI Executive’s proposal to close the St Abbs Lifeboat Station will put our fishermen at risk. These hardworking men deserve better from the charity who’s goal is to “Save Lives at Sea”. Please sign our online petition and help us keep our fishermen safe. 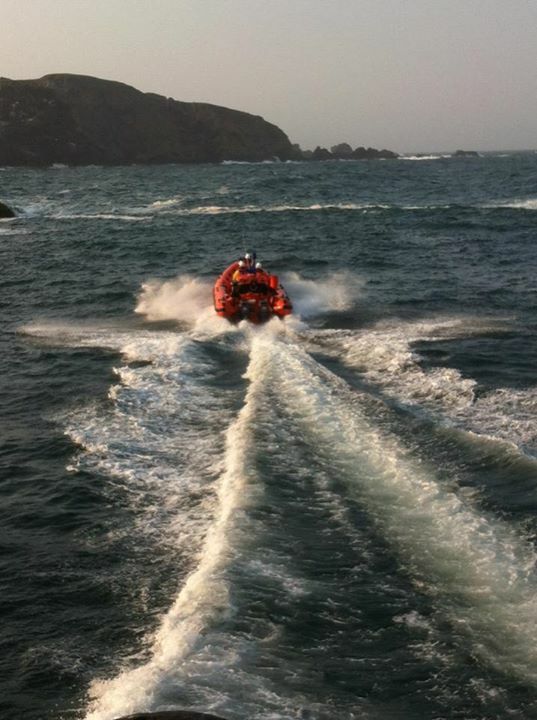 The St Abbs lifeboat was called out today 6:20pm (23rd August 2015) to search for a missing surfer at Coldingham Sands. The St Abbs lifeboat was joined in the search by the RAF Sea King SAR Helicopter based out of Boulmer, Northumberland. Luckily the search for the surfer was called off when it was established that everyone surfing at Coldingham Sands had been accounted for. 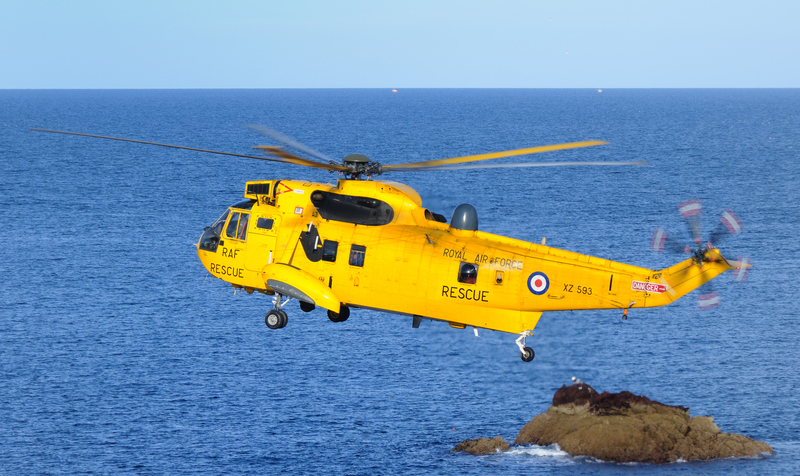 Sadly the search and rescue (SAR) helicopters based out of RAF Boulmer will be withdrawn from the 1st October 2015. 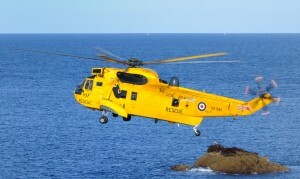 This means instead of the helicopters travelling from Boulmer – 40 miles from St Abbs. 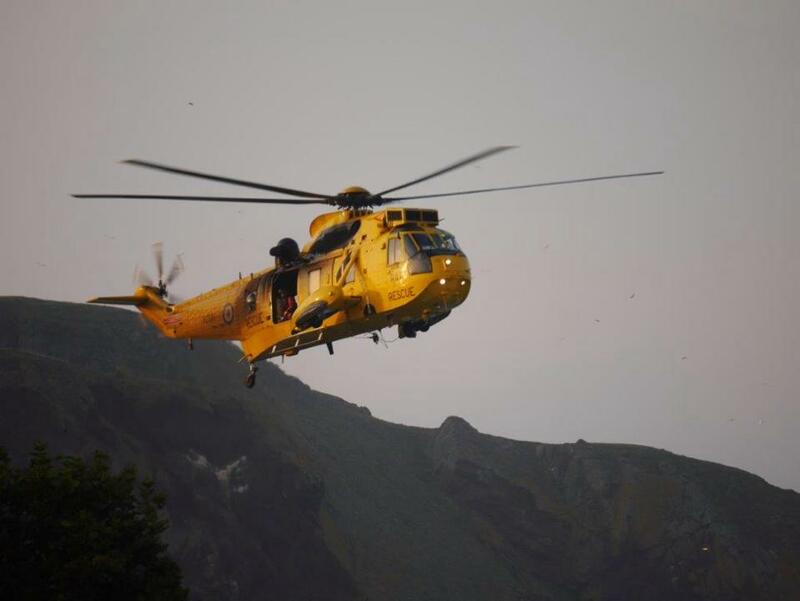 The nearest SAR helicopters will be based at Glasgow’s Prestwick Airport – 100 miles from the St Abbs – and Humberside Airport, which is 175 miles away. We’d like to thank the SAR crews based out of Boulmer who have saved the lives of so many over the years. 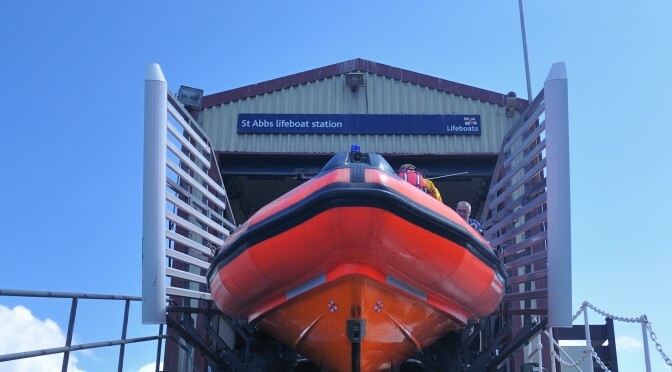 And we’ll like to ask the RNLI Executive to reconsider their decision to close the St Abbs Lifeboat Station. 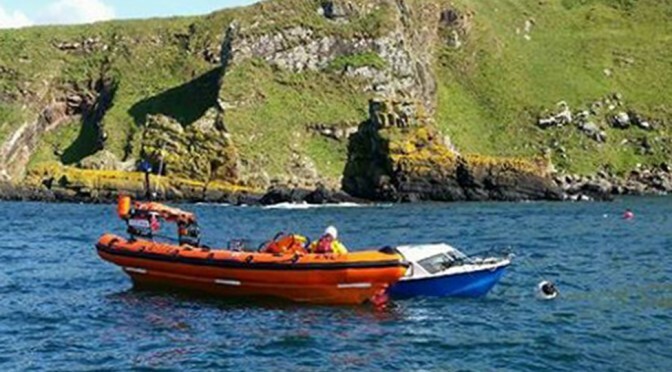 The coast around St Abbs is such a popular water sports location a boat with the capabilities of the B class is required, especially following the loss of the SAR Helicopter based at RAF Boulmer. The lifeboat that the RNLI executive think they don’t need was called out yet again at 2.00pm today (13th August 2015). 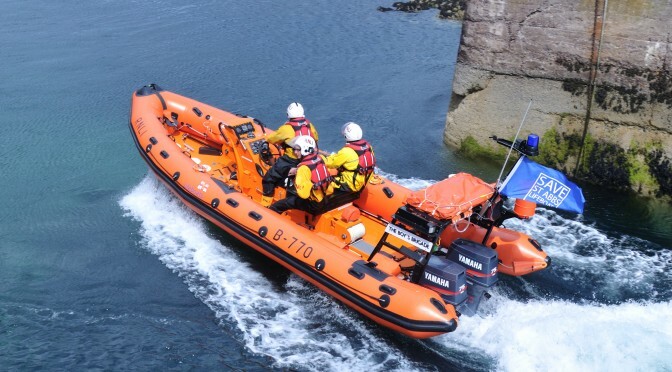 When one member of a group of three kayakers got into trouble behind the harbour wall, the St Abbs lifeboat was there to help in a matter of minutes. The kayak had capsized, and due to the rapidly worsening sea conditions and a freshening south-easterly wind, the kayaker was struggling to get back in his kayak. After a number of failed attempts his strength was fading and he was in danger of being washed onto the rocks. 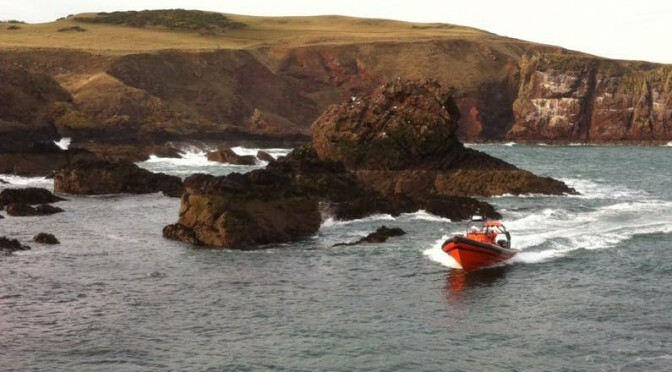 As soon as they were spotted, the alarm was raised and the St Abbs lifeboat was launched. The lifeboat was on the scene in minutes, by which time his companions had helped him get back on board his craft, but he was utterly exhausted. 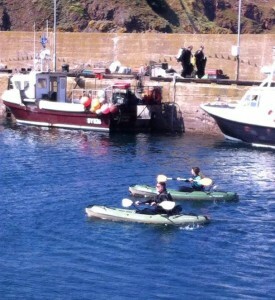 So the lifeboat escorted the group to the safety of St Abbs harbour. Read the article in the National Newspaper by clicking here. 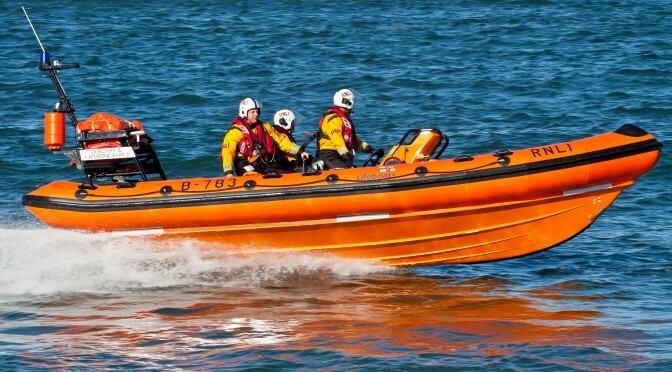 St Abbs Lifeboat was called out tonight at 7:55pm (5th August 2015) to go to the aid of a angler in trouble. The angler was in an inflatable ring with fins and a paddle. As he rounded West Hurkur, at the northern most point of St Abbs Head, he got caught in the strong tidal race which swept him out to sea. Area where fisherman was recovered. Fortunately he had a VHF radio with him and was able to contact Aberdeen Coastguard and ask for help. The coastguard dispatch the St Abbs Lifeboat to his rescue. He was picked up by the Lifeboat drifting out to sea. 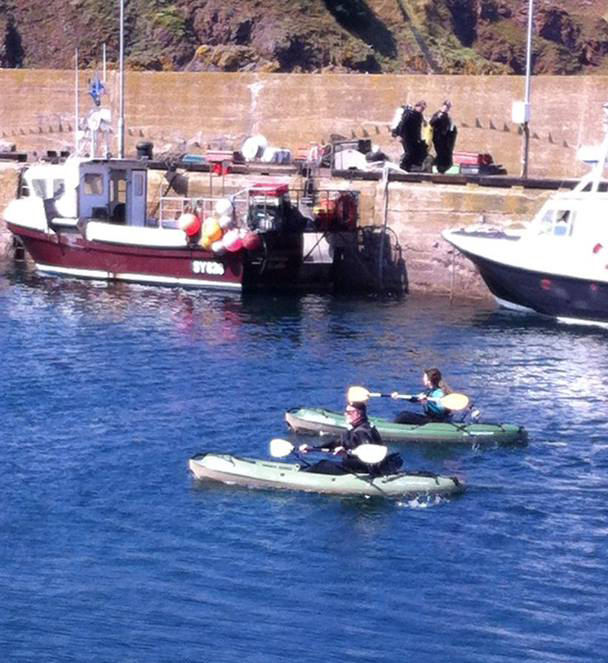 He was returned to St Abbs harbour with his craft and we’re glad to report he’s fine. 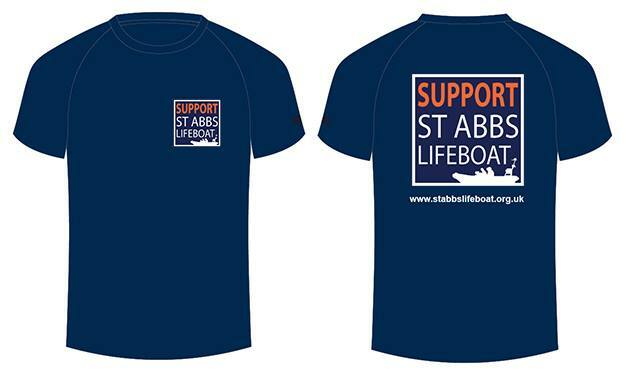 At 9:47am on the 25th July, The pagers were set off requesting St Abbs Lifeboat to launch. 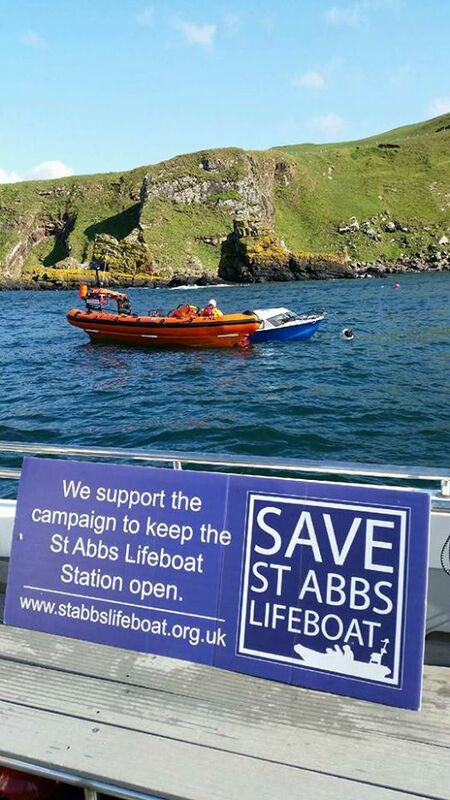 Soon after thethe St Abbs lifeboat was bearing west past Black Carrs and round St Abbs Head, speeding to the aid of a broken down fishing boat nearly 8 miles up the coast in the vicinity of Siccar Point. 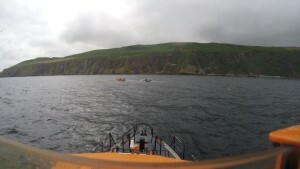 12 minutes after leaving harbour the St Abbs Lifeboat was on scene, where a local fishing boat was discovered to have suffered a gearbox failure. 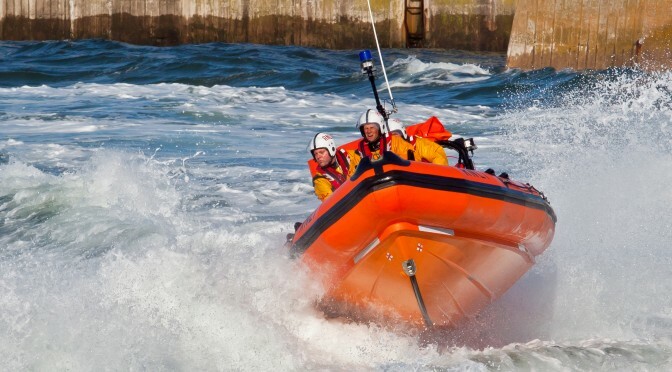 The two occupants of the boat were safe and well, they had deployed their anchor to prevent them drifting onto the rocks, but were unable to restart their engine. Eyemouth ALB (All weather Life Boat) was also in the area on exercise, and was also tasked to the scene, but was stood down when it was understood St Abbs were with the vessel, and everything was under control. 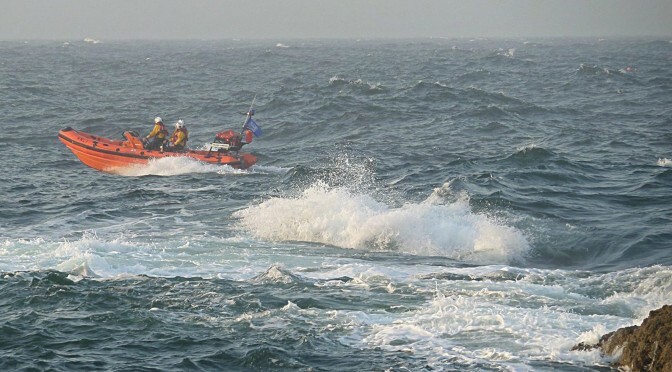 A tow was established, and the St Abbs Lifeboat returned the broken down vessel back to St Abbs harbour at a steady 4-5 knots in moderate seas. Once back at St Abbs, the casualty vessel was helped to berth in the old harbour. The lifeboat then returned to station, refueled, and was ready for service again around 11:30am. As the protest march was coming to an end the St Abbs Lifeboat was called out to rescue 3 fishermen whose boat was sinking. The crew resonded very quicky and after lauching the lifeboat they reached the sinking boat within 4 minutes. 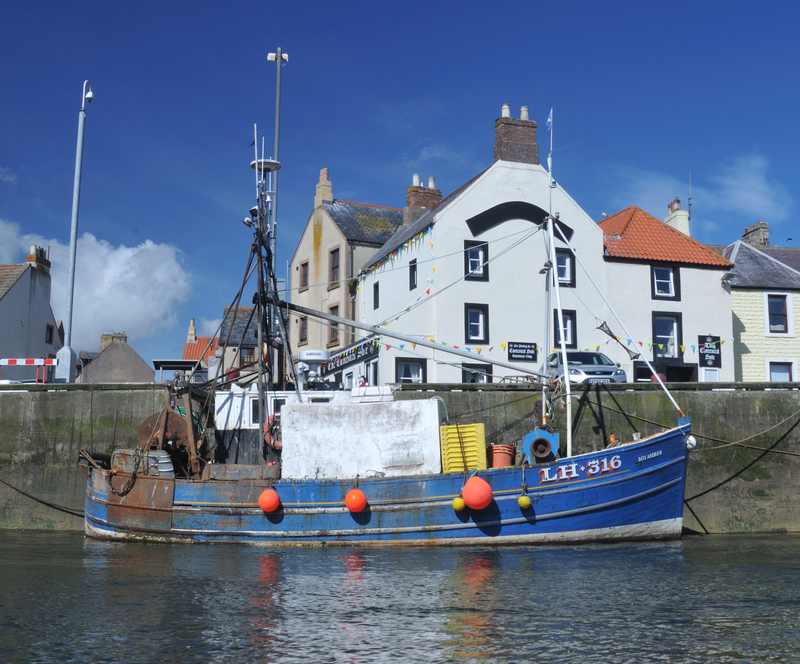 The small fishing boat had started taking on water on the North of St Abbs Head, the proposed D-Class to be based in Eyemouth would have taken 20 minutes to reach the sinking boat. 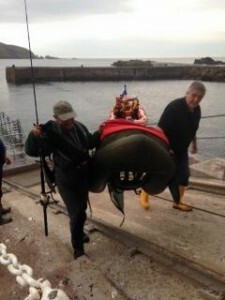 After the 3 crew were rescue and returned the the lifeboat house, the Lifeboat went back out to recover the boat. 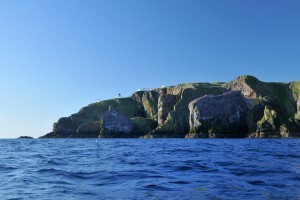 On Saturday 30 May at around 6.45pm members of the public raised the alarm, saying they had seen what they thought was a dive party experiencing difficulties, about 100 meters offshore at the back of St Abbs Harbour. 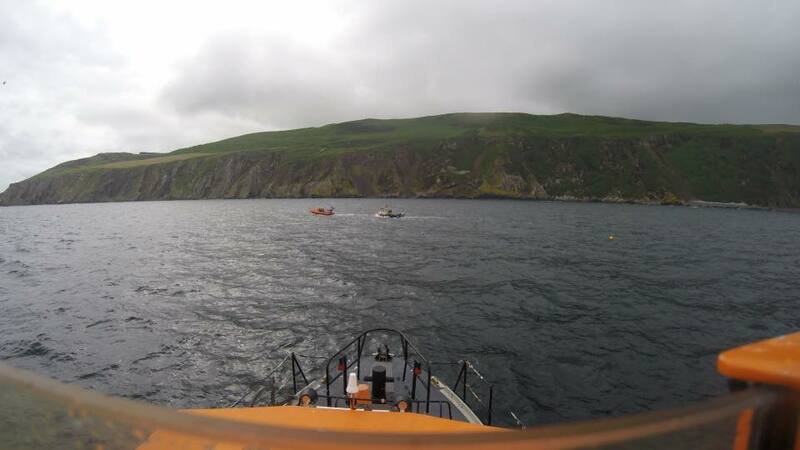 Members of the St Abbs crew who live and work around the harbour responded immediately. They decided to self- launch the ILB, and within four minutes were on scene at Cathedral Rock dive site. 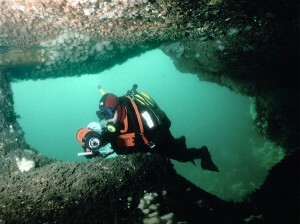 There they found a party of divers attending to one of their group who was in a seriously bad way. Quickly getting the casualty aboard they realised her breathing was erratic, and that she needed medical treatment straight away. Oxygen was administered on the boat and she was rapidly transferred back to the Harbour and remained under the care of the crew until local paramedics arrived. She was transferred into the ambulance. They transported her the short distance up to St Abbs Head where she was placed aboard Rescue 131 from RAF Boulmer, and flown to Aberdeen infirmary. The casualty was in a serious condition, and had to spend a number of days in hospital. Thankfully she made a full recovery. This incident could have had a totally different outcome if it wasn’t for all those involved acting in the way they did. This includes the swift and decisive actions of the dive party, responding to the incident when they realised something was wrong underwater. Also, the medical care that was administered at Aberdeen. I was one of the divers out at Cathedral Rock with the injured diver and while we had managed to drag our injured friend on top of the rocks, she was in a bad state, unconscious and barely breathing. She required immediate attention. The quick response of your crew getting to us, the supply of oxygen to the injured diver and her return to shore and care that followed, in my opinion, saved her life. It was impressive to see how quickly and organised the volunteers mobilised but also the attention that was given to us who were in various states of shock from the incident was greatly appreciated. Read more about it the Berwickshire News.